Kentucky Derby king’s connections went two legs deep in 2012. The Doug-O’Neill-trained and Paul-Reddam-owned Nyquist is 4/1 to land America’s Triple Crown after his victory in the Kentucky Derby. It was a second victory in the Churchill Downs Grade 1 in five years for the colt’s connections, who scored with I’ll Have Another in 2012. 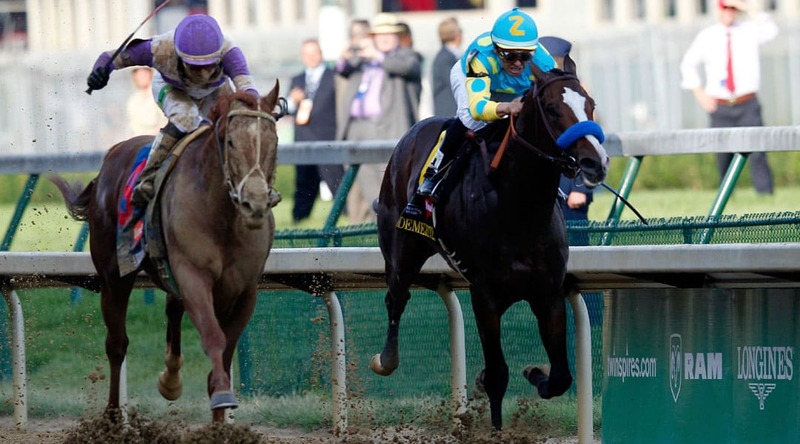 Like Nyquist, that colt was a legitimate Triple Crown contender that went on to win the Preakness Stakes (the second contest in the triumvirate), only to be ruled out of the decisive Belmont Stakes on the eve of the race with a tendon injury. Speaking after Nyquist’s win at Churchill Downs, Reddam suggest that O’Neill had taken plenty from that bitter disappointment when it comes to preparing a horse for a Triple Crown bid. According to the owner of both colts, the trainer had “zinged” I’ll Have Another around the racecourse often “and almost got away with it”. Three of the last four Kentucky Derby winners have followed up by taking the laurels in the Preakness over a slightly shorter trip and Nyquist is 4/5 to do so. The 1m4f Belmont Stakes seems more likely to trip up the son of Uncle Mo – 23 of the 52 horses to claim two Triple Crown races took the first two legs, whereas just 11 failed only in the middle contest of the series. Nyquist is reportedly being trained for stamina according to connections, but his breeding offers little to suggest his assault on the final leg of the Triple Crown will be seen out with any degree of certainty should he arrive there unbeaten.